Graduation and retention rates among the best in the country. A top 10 college town. More than 160 majors and 400+ student organizations. Look no further—or farther—than Illinois State. Our students love their four years on campus, and they love the success they find after graduation even more. Illinois State alumni enjoy an earnings potential of $10,000 more than the typical college graduate across the US. 97%of our professors hold the highest degree possible in their field. 86%of classes are taught by professors. The average class size is33students. States that border Illinois and qualifying academically gifted students receive in-state tuition. 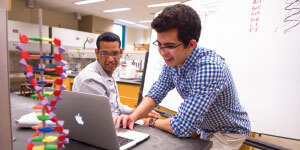 24% of undergraduates are from traditionally underrepresented backgrounds. Students come from 47 states and 69 countries to attend Illinois State. Illinois State University is located in Normal, Illinois, a safe and active college town that consistently ranks among the best in the nation. Our Uptown District is juststeps away from campus and offers avariety of dining, shopping, and entertainment options, including a49-mile bike trail winding through town. Our 3,500-seat Bra-den Auditorium attracts Broadway musicals, pop and country stars, touring variety shows, comedians, and big-name performers. Our last five freshman classes havebeen larger than those during any five-year stretch in more than 30 years. And it’s no wonder: over the last decade, we’ve ranked among the top 10% of public schools in the country for retention, graduation,and loan repayment rates. We know you’re concerned about making college affordable—so are we. More than 76% of our students receive financial assistance to help make their college dreams a reality. 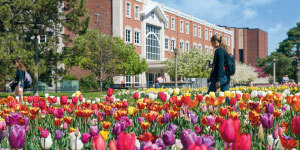 Many different Illinois State Universitydepartments, offices, and organizations award scholarships each year,including renewable merit-based Admissions Scholarships. Illinois State offers peace of mindthrough our Fixed Tuition Pledge, guaranteeing you the same tuition rate for four years. 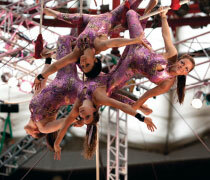 Illinois State is home to the GammaPhi Circus, the oldest collegiate circus in the United States. Gamma Phi offers athletes, actors, and anyone interested in close camaraderie a once-in-a-lifetime performing opportunity. We offer students the ability to customize their Honors experience. Each student’s journey through the Honors Program is unique and allows them to maximize their experiences without adding time to their degree. At Illinois State, our focus on practical experience prepares graduates for the workforce. More than 680 employers come to campus each year looking for interns and employees. Our Career Center assists students in positioning themselves for their dream jobs by providing guidance in creating strong résumés, preparing them for interviews, and assisting with internship placement and career searches. You’regoing to love it here! Learn moreat illinoisstate.edu.